The Galeries are always in an urban, spring-like mood! Some fantastic events are on the horizon. Audrey Hepburn, who would have been celebrating her 90th birthday in May, is coming to the Bâtiment Vanderborght, opposite the Galerie du Roi, for an exhibition organised by her son, Sean Hepburn Ferrer. A retrospective of the doe-eyed actress will be held at the cinema at the Galeries. A new space dedicated to groups has opened on Rue de l’Ecuyer: Le Royal. This new co-eating concept showcases Belgium and its savoir-faire. We are also offering you the chance to step back in time and explore a new aspect of the Galeries: its exterior façades… Just like the Galeries themselves, their architect was keen for them to be monumental. As for the streets around the Galeries Royales Saint-Hubert, they are imbued with history. 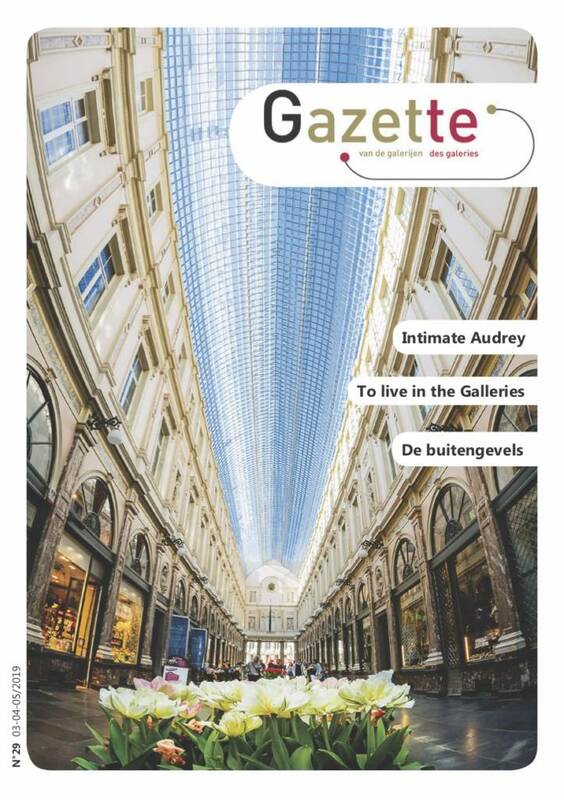 This edition will explain a bit more about the past of the Rue d’Arenberg, one of the busiest shopping streets in downtown Brussels a few centuries ago!